Gabriel Vilardi is among those unable to participate in Canada’s World Juniors Summer Showcase camp, joining Owen Tippett, Justin Almeida, Jordy Bellerive, Josh Brook and Robert Thomas. Thomas, Tippett and Vilardi are all first round draft picks who have signed NHL contracts and would be locks to make Canada’s team if they’re made available. Gabe Vilardi had his back issue flare up, keeping him out of Kamloops event, according to Kings GM Rob Blake, to me via text. I’ve heard the same thing after checking in — there doesn’t appear to be any alarm as it relates to Vilardi and his readiness for the upcoming season, where he’ll be given every opportunity to contend for a roster spot as a 19-year-old. 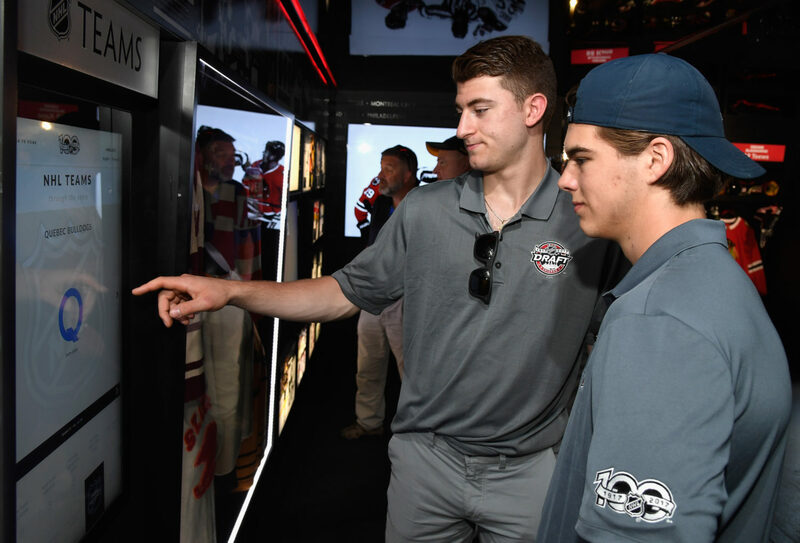 In person, Vilardi looked terrifically fit at development camp and gave off the impression that he’s been putting the past year’s commitment to training to good use. In the off-season, it’s always preferable that players are focused more on adding strength than rehabilitating an injury; it doesn’t appear such a balance has been off-set. I haven’t sensed any sort of grave concern with this issue. If Vilardi (2017 1st round) makes the Kings out of training camp, his chances of playing at world juniors would be significantly reduced. If Vilardi doesn’t make the Kings, he’d have to be returned to the OHL as a 19-year-old, and would figure into a starring role with Canada at the tournament, which will be held in Vancouver and Victoria, B.C. from December 26 – January 5. The Kings still have Akil Thomas (2018 2nd round), Jaret Anderson-Dolan (2017 2nd round), Markus Phillips (2017 4th round) and Matt Villata (2017 3rd round) representing Canada at the showcase, which is used as a mid-summer evaluation tool in advance of the annual tournament. Mikey Anderson (2017 4th round), who earned a bronze medal with the United States in the 2018 tournament, is in camp with the United States’ White Team. Returnee Rasmus Kupari (2018 1st round) is participating in the summer showcase with Finland, for whom he could, ultimately, play in three different World Junior Championships.